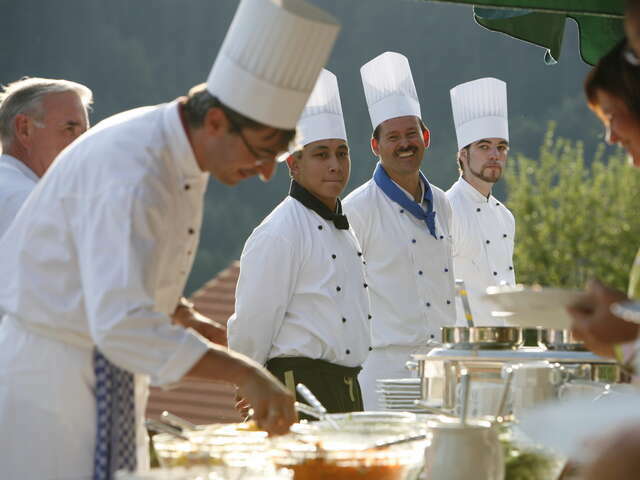 Michelin-starred gourmet hiking in the Black Forest is the grown-up way to celebrate Germany's cuisine and outdoors. We hope you've already checked Munich's incredible Oktoberfest off your travel bucket list, because it really is a young person's game. Staggering from Festhall to Festhall, raucously joining off-key, multi-lingual singing, and belting back beer and sausage with your buddies and thousands of your newest best friends is tons of fun once, but off the menu for most people after 30 or your first couple of children. What should be on your travel list to replace it? Baiersbronn. Nestled in the fabled Black Forest across the French-German border from Strasbourg, Baiersbronn is surrounded by clean air, green hills, cold fresh water, five lakes and a vast forest. An impeccable combination of startlingly beautiful nature and delicious gourmet food, this small town of 15,400 has the highest density of Michelin stars in all of Europe. The locals take pride not only in the eight Michelin stars that Baiersbronn has earned, but the nature and conservation of the Black Forest. 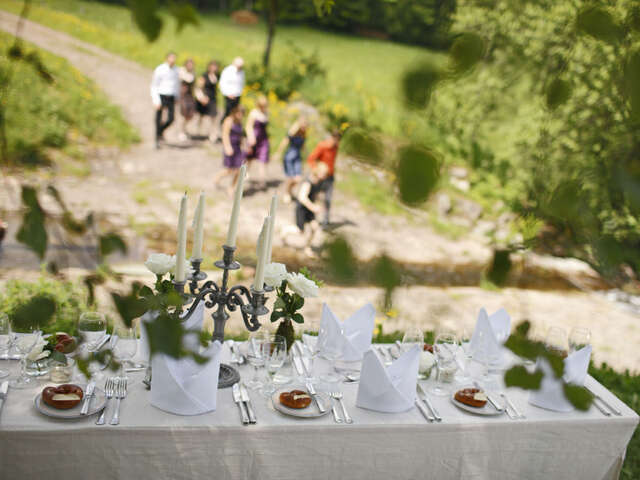 Baiersbronn has found a way to seamlessly combine both of their claims to fame - gourmet food and outdoor hiking - in a new "Culinary Hiking Heaven" program. 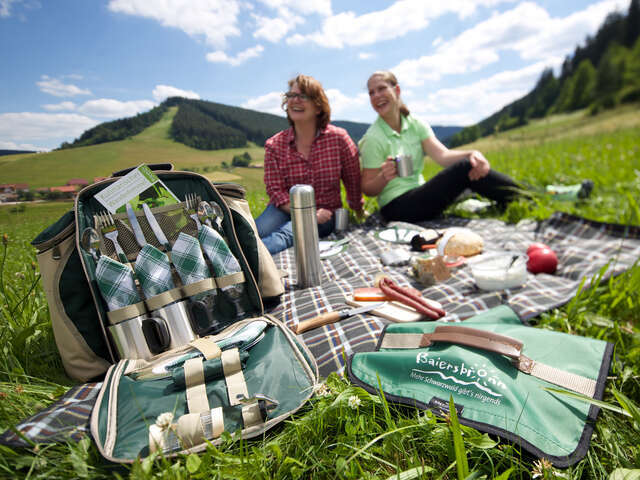 The gourmet hiking program is an extension and expansion of the German tradition of 'Vespern', or 'bringing a snack', an important ritual of the German tradition of hiking, finding a wonderful spot with a view, and enjoying local food in the heart of Nature. The Culinary Hiking Heaven program involves "Wild plant hosts" - restaurants and inns using natural ingredients from the local forest to prepare their dishes; "wild plant guides"- guides who take visitors on hikes and introduce them to all the forest has to offer; and the "wild plants discovery trail"- where visitors can learn all about the riches nature has to offer. Hikers can purchase picnic rucksacks provided by the "wild plant hosts" that feature local and regional specialties and a brochure to help them identify plants along the way. In addition to the "Culinary Hiking Heaven," Baiersbronn has many different themed-guided hikes that are planned for different seasons. There is something for everyone, and the gourmet hikes range in taste from five-course alfresco menus all the way to beer and liquor hikes. With the Black Forest Card, some tours are even free. On a "Tasty Hiking" tour you follow guides through the forest to a beautiful romantic spot. A small Black Forest specialty snack is waiting for you while you enjoy the unbeatable scenery. 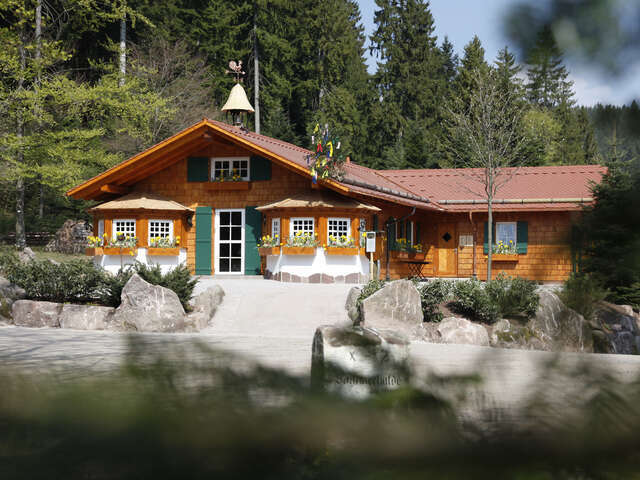 From here, follow the guides to a hiking cottage and enjoy a Black Forest meal with other hikers. Themed herb walking tours are exciting for those hoping to learn more about sustenance you can collect in the forest. For hundreds of years people have been looking to the forest as a means of food, shelter and medicine. These herbs and berries had many uses that included natural remedies for infection, pain and sickness. The "Schnappstour" centers on how to make Black Forest liquors. Hike along the path with your guide until you reach the distillery where Dr. Zimmerman produces the high alcohol percentage schnapps out of local fruits. Or enjoy the "Hops and Malt," beer tour. That a crisp, cold beer is the perfect solution after a long hike is no mystery, but how to make delicious beer is! Whether you enjoy hiking alone and bringing your own snack, or would prefer to hike gourmet style with a guide, Baiersbronn's Gourmet Hikes allow you to celebrate German nature and home grown flavors.